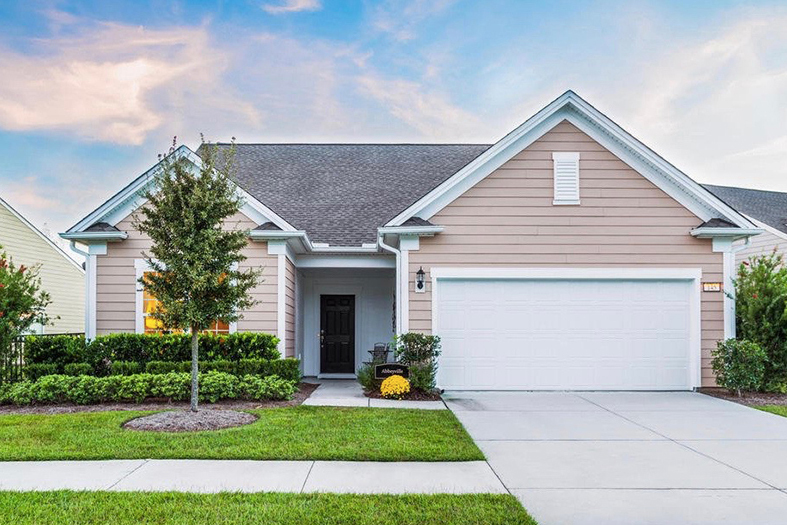 Del Webb Nexton is a beautiful new-construction 55+ community in Summerville. As the grand opening inches closer, Nexton is opening its doors for potential residents to tour move-in-ready and model homes. The weekend open houses will run until March 18. This Saturday and Sunday from noon to 3 p.m. active adults will be able to enjoy snacks and refreshments while checking out designs for their potential new home. Del Webb opened their sales center in Nexton in February and expects residents to move in during the coming months. The 1,000-home community will be gated and include the conveniences of a low-maintenance lifestyle. There will also be a lifestyle director on hand to help the community’s social scene grow, with groups and clubs geared towards the interests of Del Webb Nexton homeowners. Active adults will get to know why Del Webb is considered one of the country’s premier 55-plus community builders. There will be ten floor plans among three separate single-family home collections available in the community. The Passport Series includes three models ranging from 1,262 to 1,424 square feet and has two bedrooms, two bathrooms, and two-car garages. Expedition is the next series and features four floor plans ranging in size from 1,656 to 1,961 square feet. Homes include two bedrooms, two bathrooms, and two or two-and-a-half-car garages. The largest series is Pinnacle which includes three models sized at 2,411 to 2,536 square feet of living space. These homes include two or three bedrooms, two or three bathrooms, and two or two-and-a-half-car garages. As expected, Del Webb Nexton will provide homeowners with private and resort-style amenities. The centerpiece will be a 25,000 square-foot clubhouse with a state-of-the-art fitness center, gathering room, and indoor heated pool. Residents can enjoy the sunny weather at the resort-style outdoor pool and patio. The community will provide many different ways to stay active, including tennis courts, pickleball courts, and 50 miles of walking trails. There will also be an event lawn and 2,000 acres of green space. Request more information on the homes, amenities, and lifestyle at Del Webb Nexton!